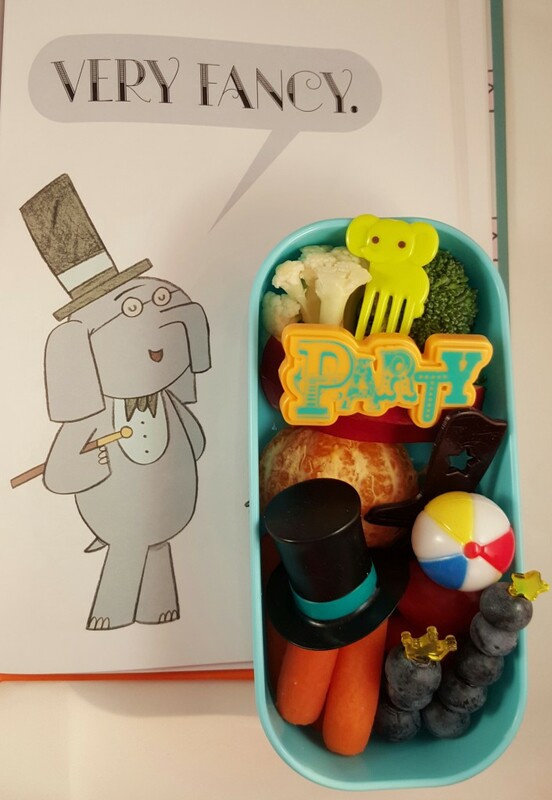 Lunch Inspired by Mo Willems’ I Am Invited to a Party! 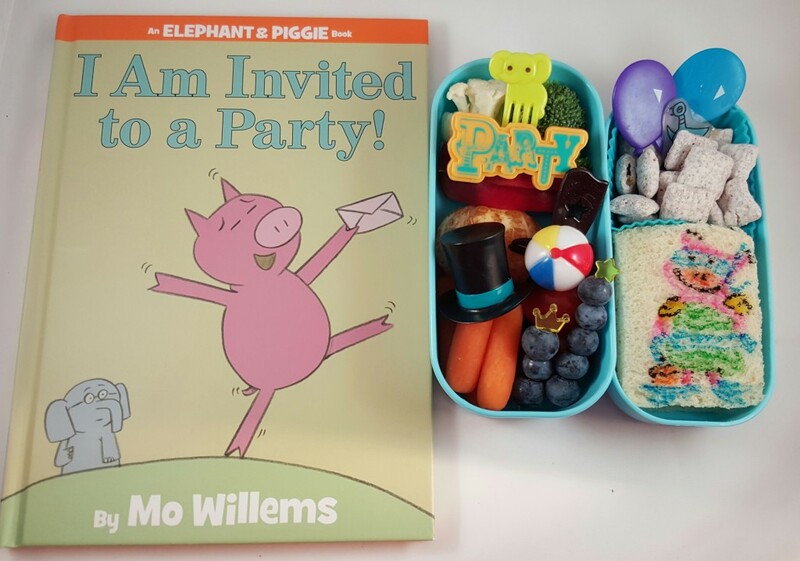 Continuing in our celebration of books by Mo Willems, my daughter had this lunch inspired by the Gerald and Piggie book titled I Am Invited to a Party! This is a fun story about two friends trying to ensure that they prepare properly for an upcoming party. I used food safe markers to draw a picture of Piggie on the sandwich. 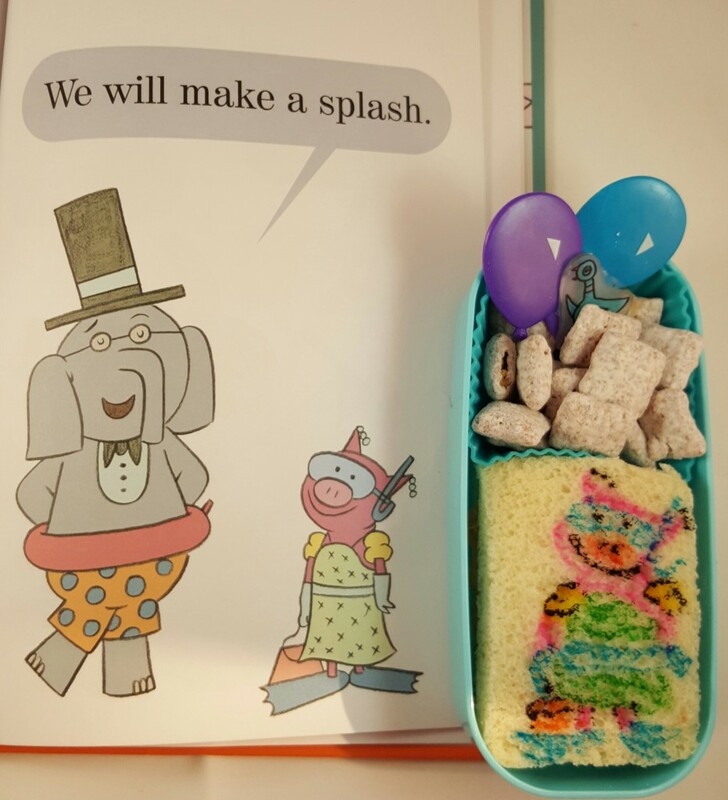 Here, Piggie is dressed up in a fancy dress and she also has swimming gear on because she and Gerald are unsure of whether the party will be a Fancy Party or a Pool Party. I included a top hat cupcake topper to coordinate with the top hat Gerald wears to be Fancy. I also included the Party ring and I really liked the way the style of those letters because they reminded me of the font used in the book to emphasize VERY FANCY. 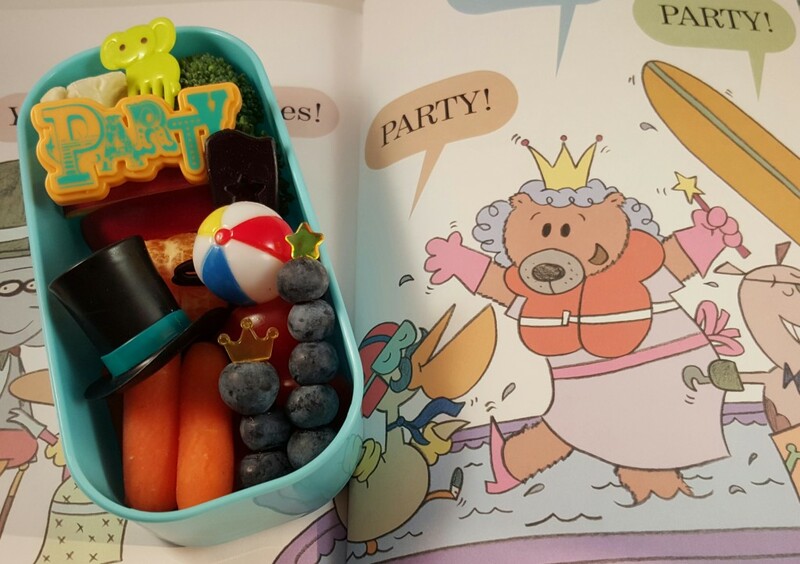 I also included a beach ball pick and yellow crown and star shaped picks to coordinate with the crown and wand shown with one of the party goers in the book. In the picture above you can see the balloon picks I included to represent the scene were Gerald and Piggie approach the party. (You can also see my homemade Pigeon peeking out). 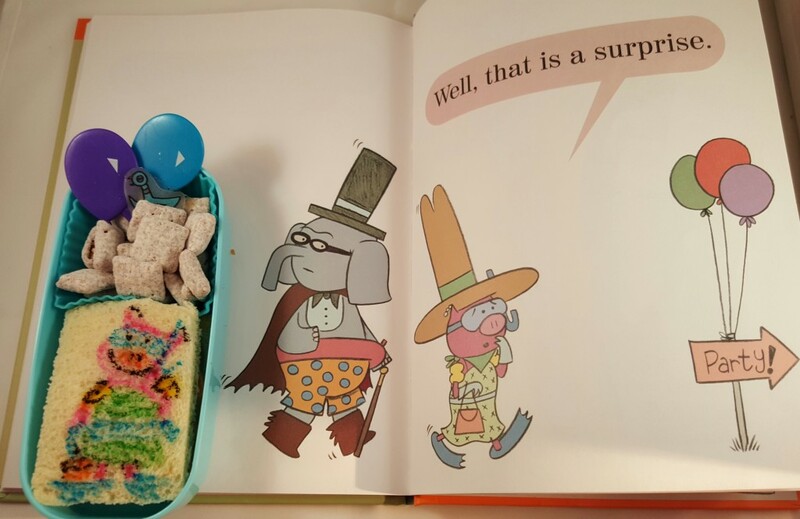 And, in the photo above, you can see the little elephant pick I included to represent Gerald as well as the cowboy boot pick I included to present one of Piggie’s costume pieces. 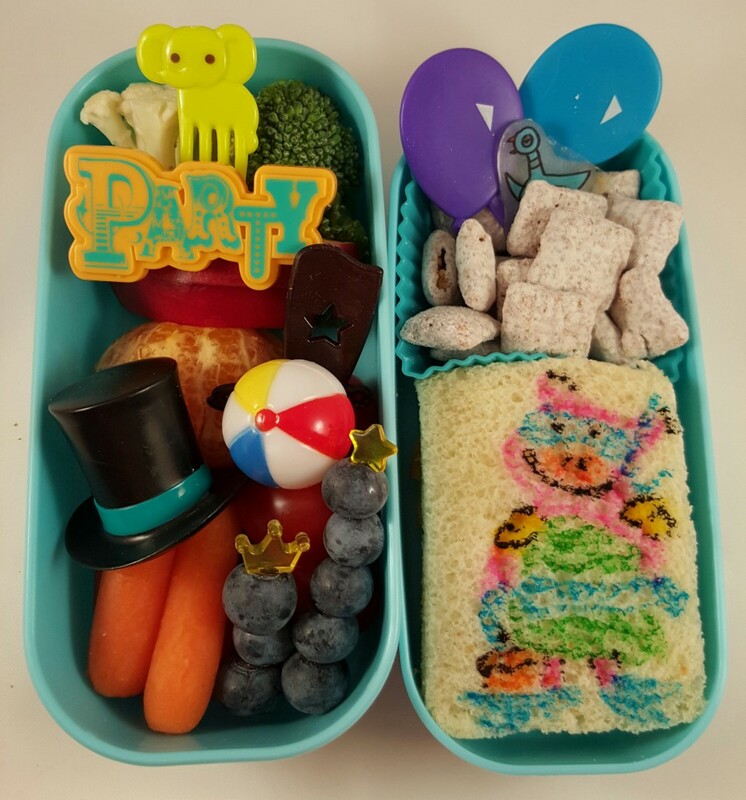 This was a fun lunch to pack. My daughter and I brainstormed some of the components to include and I liked the way it turned out. 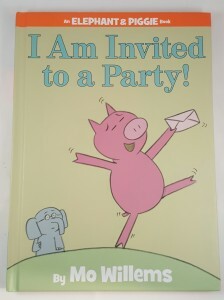 If your kids love costumes or parties, I recommend this Elephant and Piggie book. 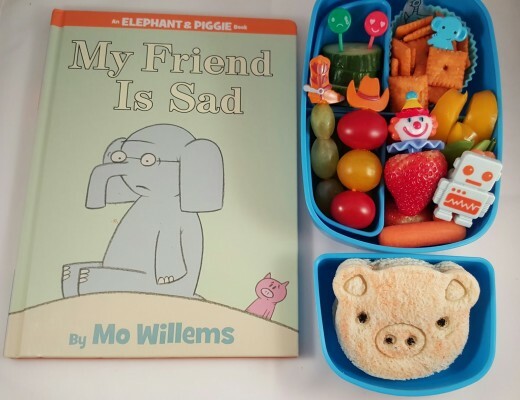 And, if you have time, look around my blog at some of my other lunches inspired by MoWillems’ books.